There are a lot of people who email me really great questions, a few topics people ask me about are: how to get started in ux, how they can get their company to take ux more seriously, and with questions about their product. I try to answer everyone, even if it takes me a while. It’s always really interesting for me to learn more about the topics that are important to all of you who are reading my blog. 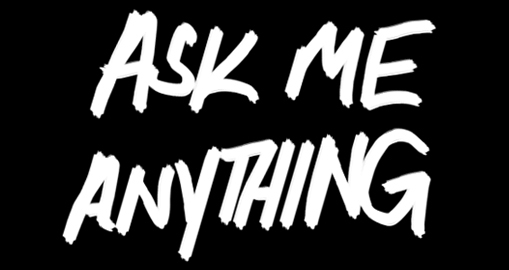 In the spirit of learning more about my audience, I’m starting a new series called Ask My Anything. Maybe it will even turn into a Twitter chat someday, we’ll see how interested you guys are. Leave a comment below with your question for me and I’ll answer one of them next week. I’ll also use these questions to help me shape my content calendar for 2014. Early in my career, I was known for having two things I’d always say … “Guys I have a question” and “Guys I have an idea” and I asked questions and shared idea non-stop! The point is, no question is too small or silly, chances are you if you have a question someone else has it too. And, a lot of times, even little questions can lead to a really great larger discussion. So tell me, what’s on your mind? What keeps you up at night? What problems are you having trouble figuring out? What debates does your team keep having over and over? What would you love an outsider’s perspective on? Thanks so much! I can’t wait to hear what’s on your mind.